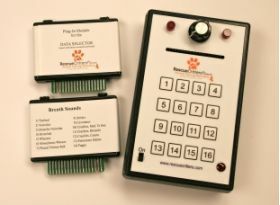 Rescue Critters and Pinnacle Technologies Group have worked together to make available this diagnostic breath sounds simulator for our Jerry line of mannikins. Utilizing plug-in modules, instructors can select the appropriate scenario for the classroom situation. The appropriate JERRY manikin for system installation must be purchased separately. The #2604 System includes the master TUTOR unit , breath sounds (BS) module and four speakers capable of being directly installed into any of our Jerry line of mannikins or used as a stand-alone unit on lab bench or desk. This Tutor with Canine BS Simulator LFA # 2604 comes with Tutor with one Breath module only. A separate Heart Sound Module LFA # 2606 for use with this system may be ordered as an optional extra or visa versa. Atrial Fib, Mitral Regurgitation, Mitral Valve Click, Normal Heartbeat, PDA, Pulmoic Stenosis, Respiratory Crackles and MR Murmurs, SAS, Mitral Regurgitation, VPC and VSD.trial Fib, Mitral Regurgitation, Mitral Valve Click, Normal Heartbeat, PDA, Pulmoic Stenosis, Respiratory Crackles and MR Murmurs, SAS, Mitral Regurgitation, VPC and VSD. 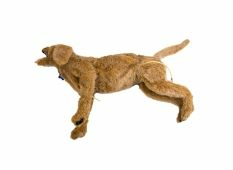 Note: Please check for product availability as most Rescue Critter manikins are custom manufactured to order.